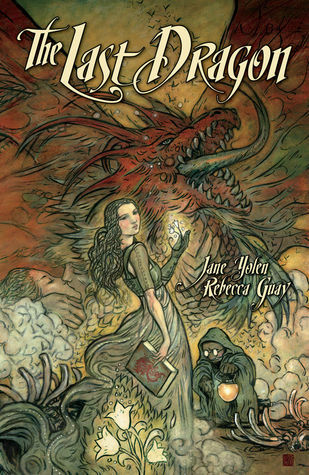 Jane Yolen pairs with Rebecca Guay to tell the tale of a village beset by a ravenous dragon - in an era where dragons are believed to be extinct. The village is unsure how to deal with the menace - clearly a hero is needed. Some boys set off for the mainland in search of a hero, but at home Tansy, the healer's daughter has a few ideas of her own. The story is rather simple and straightforward, but it is sweet, and I particularly enjoyed the fact that the heroes work together, pairing their own unique strengths as they work to vanquish the dragon. I would have preferred to focus more on Tansy and her family - it feels as though the book touches on many fascinating aspects of their lives, but it never delved quite deeply enough for me. The artwork is stunning, lush and expressive, and it imbues the tale with a true sense of wonder. The panels are all depicted in vibrant color, and the pages themselves are thick and creamy. It's a lovely book. Back to Books: "The story is somewhat predictable in that it follows expected plotlines with no unexpected twists, but it is also a lovely romance and just a perfect tale to make one's heart sigh." Nerfreader: "I wish there had been more on Tansy since she's a great character: feisty, intelligent, and willing to leverage other people's strengths to make up for her weaknesses. 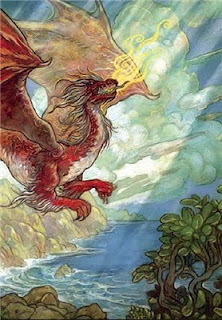 But really, the story is secondary to the fabulous images." Things Mean a Lot: "I kept expecting to be surprised; for the narrative to take a sudden turn and go to places I’d never imagined, but that moment never came." I actually wasn't very impressed with this. The art was good, but that was about it. Kailana - Yes, I agree. 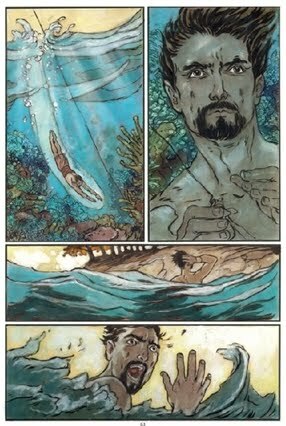 The art outshone the writing, and that was a little disappointing because I do have such high expectations where Yolen is concerned. Still, the artwork is gorgeous!